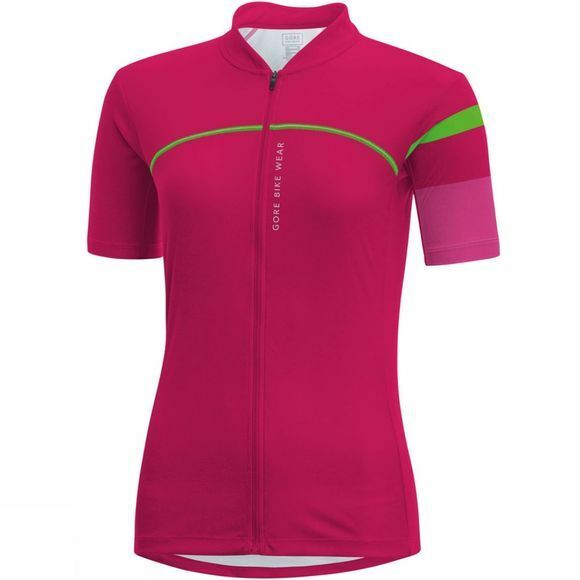 The Women's Power Lady Jersey from Gore features a female specific fit and is perfect for ambitious road cyclists. Pockets on the back of the Power Lady are ideal for storing essential items and reflective detailing helps to keep you visible on low light excursions. The jersey has been constructed with a close fit high collar and flat-lock seams to provide excellent comfort mile after mile.